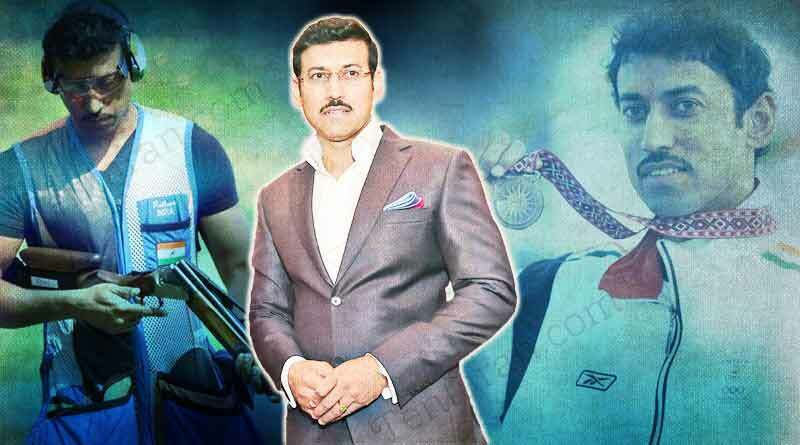 Ace shooter Rajyavardhan Singh Rathore was born to Col. Laxman Singh Rathore, an ex-Army man, and Manju Rathore, a school teacher on January 29, 1970, in Jaisalmer, Rajasthan. Rathore earned laurels in the world of sports, before joining politics. Rathore is a graduate of 77th course of the National Defence Academy, Khadagwasla, Pune. After graduating from NDA, in 1990, Rathore joined the Indian Military Academy, Dehradun, where he was awarded ‘Sword of Honour’ from Indian Military Academy for the best all-round Gentleman Cadet. In the Commonwealth Games, 2002 in Manchester, Rathore won a Gold Medal and set a new Commonwealth Games Record of 192 targets out of 200 in the shooting, which still stands. Retired Colonel Rajyavardhan is an Indian politician and a former professional shooter who won India’s first ever silver medal in the Olympic Games, 2004. In 2004, he won the ‘World Shooting Championship’ in Sydney, Australia. He was awarded Padma Shri in 2005. In 2006, he won a gold medal in Commonwealth Games held in Melbourne and another gold medal in World Shooting Championship held at Cairo. Rathore was chosen as the flag bearer for India during the 2006 Commonwealth Games held in Melbourne, Australia and Summer Olympics held in 2008 in Beijing, China. He won 25 international medals in Double Trap Championship held in different countries from 2002 to 2006. Following his retirement from Army and Shooting in the year 2013, in November 2014, he became Minister of State for Information and Broadcasting. In 2017, he was appointed as a Cabinet minister with independent charge for Ministry of Youth Affairs and Sports. He is honoured with several prestigious awards and highest honours, such as Rajiv Gandhi Khel Ratna (2004-2005), Arjuna Award (2003-2004), the Sikh Regiment Gold Medal for being the best sportsman at Indian Military Academy (1990) and ‘Ati Vishist Seva Medal’ for his exceptional services by the President of India. He was chosen as the Minister of State for Ministry of Youth Affairs and Sports in October 2018. His net worth is INR 8.36 crores. For more articles like life and achievements of Rajyavardhan Singh Rathore, do Subscribe to our newsletter and follow us on Facebook, Twitter and Google+.